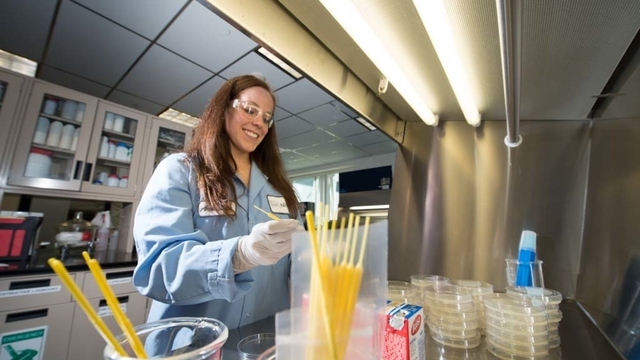 Student-faculty research, immersion in different cultures, stellar internships, and chances to serve your community – a biology degree at UW-Eau Claire offers it all! Life-changing biology experiences abound in places like Belize, Ecuador, the Galapagos Islands, Argentina, and Cambodia. You're sure to find something you love to do. It's just a given that you will have countless opportunities to get your boots dirty in the field, hands messy in the lab, and make a difference in people's lives locally and abroad while you're at it! Your life will change when you open yourself up to the diversity of cultures and travel available through our biology majors. Cambodia, Argentina, the Bahamas, Belize, Cambodia, Ecuador and the Galapagos Islands – all of these potential destinations may await you on a cultural immersion or study abroad trip. Internships and research are often a part of these life-changers as well, so you get all the benefits at once! 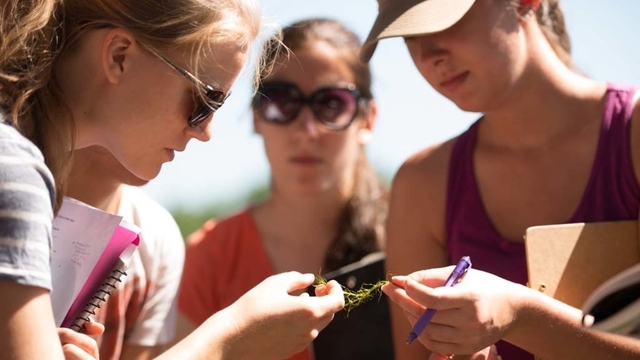 Get out there and gain experience working anywhere and everywhere in the biology field! With an internship you may discover new passions you never knew you had. Or, you could learn that you’re right where you’re supposed to be. You’re in a special environment for undergrad researchers. As an undergrad, you get to take part in the high-caliber research you’d expect to find post docs and grad students doing at a large research institution. Powerful electron microscopes. Fish tanks brimming with marine life. Collections of the creepiest and coolest insects, plants, amphibians around. A museum full of bird species. Greenhouses bursting with color and variety. Not to mention a 230-acre nature park right on campus grounds and a creek running through it all. You won't find a more impressive group of biology facilities anywhere in the Upper Midwest. It's all here!